In all honesty, the cost of living in Dublin is expensive. There are ways to save money by shopping for groceries in Lidl and Aldi (yes, they’re here too!) and taking public transport or just walking from A to B. Even though it’s expensive, it’s hard not to love it. 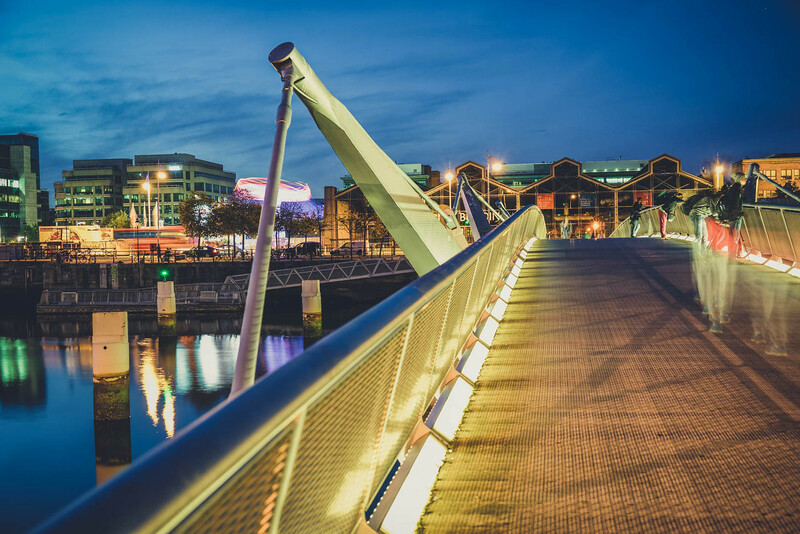 It’s a fun, vibrant, multicultural city and, no doubt about it, there is plenty of ‘craic’ to be had. We are positively spoiled for choice for food and there’s probably one pub for every 20 people! 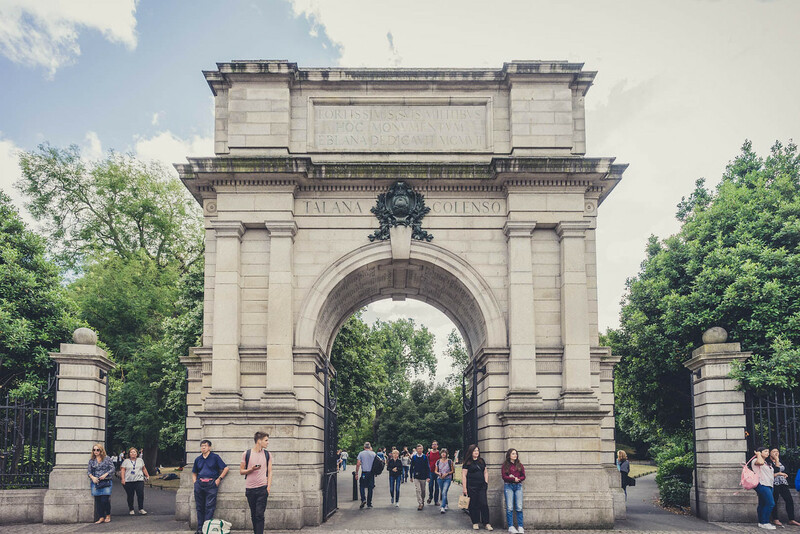 Dublin’s free green spaces are beautiful retreats from the concrete and traffic and its stunning architecture truly reflects its position as the British Empire’s second city back in the 18th Century. It’s cliché to say but you’ll feel completely welcome and greeted with smiles from Dubliners every day and you’ll never be stuck for help, directions or whatever you’re looking for. For art, history and culture there’s a wealth of museums, galleries, exhibitions and theatres at our disposal. Entrance fees are free in the excellent Chester Beatty Library in Dublin Castle, the National Museum of Ireland on Merrion Square and The Irish Museum of Modern Art (IMMA), in the magnificent 17th century Royal Hospital, Kilmainham. We love going to the Gallery of Photography in Temple Bar which always has great exhibitions (entrance is free) and a huge array of art and photography books on sale. 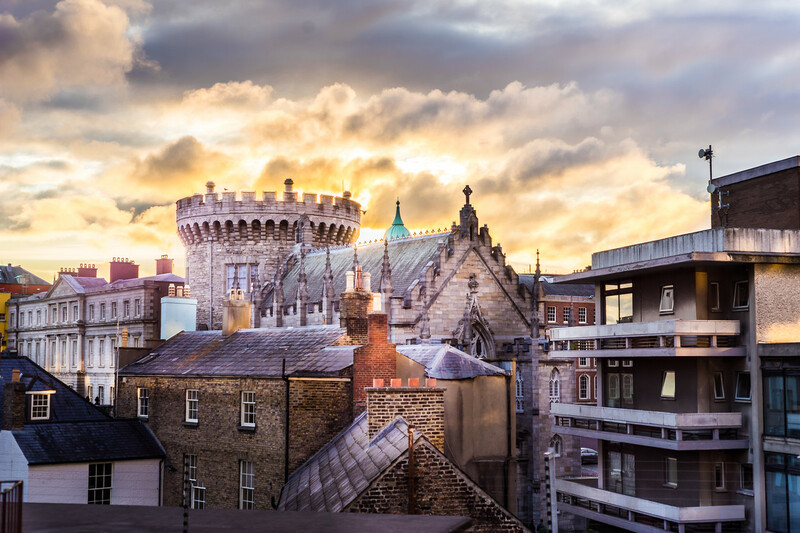 Theatregoers will love Dublin’s historic venues for the latest plays and of course to see the works of Ireland’s literary heroes. The Gate Theatre is located near the Hugh Lane (yet another fabulous free art gallery) on the north side of the river and tickets start at €26.50. The Abbey Theatre is our favourite because of its history (founded by the great Irish poet and playwright William Butler Yeats in 1904) and connection to our family. Orla’s great-grandfather worked there as a prompter before the 1916 Rising against British rule and he, along with a number of other actors and workers from the theatre, fought in the rebellion. The Abbey has great value early bird tickets at €10 per person and there’s an excellent backstage tour for €12 per person that explains the history and cultural significance of the theatre from its foundation to the present day. If you love movies we have some great cinemas. For the latest releases head to the Savoy on O’Connell Street (Dublin’s oldest cinema) or Cineworld on Parnell Street. Tickets here average €15 for an adult and add on a tenner for extortionate popcorn and a drink (or smuggle in cheap snacks and pop from the Euro Store across the road!). A good tip is these cinemas offer cheap deals on Tuesdays or you can sign up for membership to bring costs down. The Lighthouse Cinema in Smithfield is a smaller, independent cinema and you can catch new releases or classic oldies for €11 per person. It gets really busy here so booking is advisable. The IFI in Temple Bar is more of an arthouse cinema and hosts brilliant film festivals. For some showings of Irish films, there’s a Q&A with the director which is a treat for movie buffs. Tickets here are around €9.50 per adult. For music lovers, venues abound in Dublin. You’ll find gigs on any night of the week in pubs and clubs all over the city. From free traditional music in Devitt’s on Camden Street to up and coming artists in institutions such as Whelan’s on Wexford Street or The Grand Social on Liffey Street, there’s something to suit everyone’s tastes. Tickets to gigs generally range from €5 to €15. For major Broadway shows like ‘Wicked’ head to the Bord Gáis Energy Theatre down on Dublin’s Docklands where the average adult price is €30. The National Concert Hall is the main classical music venue with tickets averaging €25. Big-name artists usually play the Three Arena or the Aviva Stadium and tickets start at €70. For the public transport system, your best bet is the Leap card which covers buses, the Luas tram lines and the DART lines. The Leap card offers cheaper fares and you can top them up in most shops or at train/tram stations. Fares with the Leap card are also capped at €10 per day or €40 per week so you won’t get charged any more than that if you’re a frequent commuter. 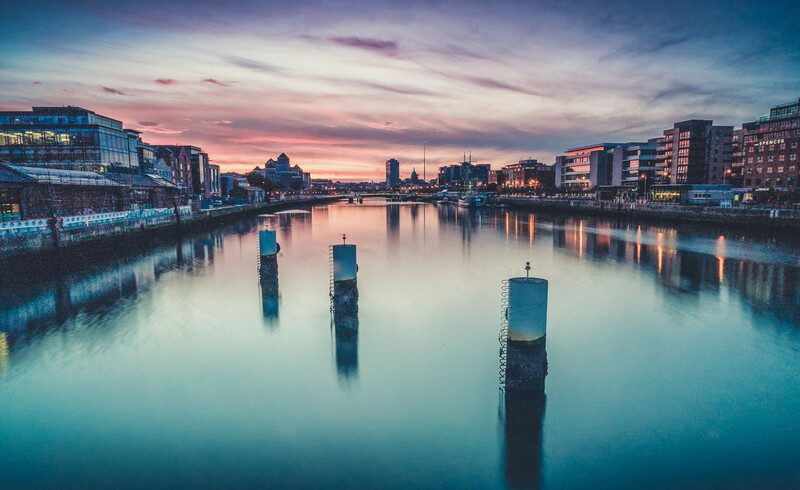 Dublin is an ideal city for taking the shoelace express as it’s smaller than most European cities and it’s a great way to take in the sights or discover your own hidden gems. For a quick, healthy way to get around, jump on one of the Dublin Bikes for rent all across the city by subscribing with a credit card or your leap card. At €25 per year for unlimited use, it beats the bus and the traffic! Just make sure you’re extremely vigilant as Dublin drivers are still getting used to the increasing number of cyclists on the streets and can be somewhat impatient! Which brings us onto Taxis! They’re not cheap and with the traffic in Dublin, it really would be quicker and cheaper to walk. However, if you need to get home after 11.30p.m. (last bus) or 1 a.m. (last tram) you have no choice. A taxi home to our house in the suburbs, 8km away, is €20. We have sometimes walked instead, having spent all our money on beer! You are rarely going to find a cheap drink in Dublin. You could be charged anywhere from €5 to €8 for a pint of Guinness (the cheapest beer in Dublin) with the high end found generally in Temple Bar. Don’t expect to go out for a night in Dublin and come home with any change! Sure, some places do deals for cocktails and happy hour but there aren’t any huge savings to be had really anywhere. If you’re more a wine drinker or prefer spirits, expect to be left broke! During the summer a lot of people head to the canals to enjoy their carry-outs in the sunshine as apparently canals and waterways are the only legal places outdoors you can imbibe alcohol. I’m sure this loophole will be closed at some point in the future. For now, though, it’s a great cheap night out! When dining out you’d be wise to avoid Temple Bar for the same reasons as above. In general, the north side of the river is cheaper than the south side. In particular, in and around Capel Street and Parnell Street there’s a huge variety of cheap eateries that are centred around Asian cuisine. All you can eat BBQ Korean places usually start at around €15 per person which are really plentiful, good value and authentically delicious. They also do great deals at lunchtime at even cheaper prices for the same fantastic food. On the south side, we have a favourite place where we are never disappointed. Zakura Noodle & Sushi Restaurant on Wexford Street fills you with gorgeous, fresh Japanese dishes at around €12-€15 for a main and it’s BYOB. For more traditional places that serve steak dinners or your usual restaurant fare, you can spend anywhere from €40 to €100 per person for a two-course dinner with wine. Having never eaten in a high-end Michelin star restaurant in Dublin we can only imagine the eye-watering prices and I guess we’ll never know! Cooking at home is always going to be cheaper even though you have to do the dishes! As we mentioned above, the cheapest option for food shopping is Lidl and Aldi and they are everywhere. We’ve often got a whole week’s worth of breakfast, lunch and dinner in Lidl for the two of us for less than €40 and we really love our food! You can get packets of pasta or rice for €0.50 cent and the deals on packs of meat are the best you’ll find compared to the other grocery stores. Fruit and Veg is much cheaper as well. For example, a punnet of strawberries in SuperValu is €2.50 but you get nearly twice as many strawberries for the same price in Lidl. Even the basics such as bread, milk and cheese can be up to a euro cheaper, they just won’t be the brands you might be used to. Trust us, there’s no difference in quality or taste. The biggest problem is accommodation. Ireland and particularly Dublin are facing a huge housing crisis with now over 10,000 people homeless in Dublin alone. There are no rent controls so compared to Europe, Ireland is way behind on progressive housing policies to ensure the rights of tenants to a decent, long-term home. There is also a severe shortage of rental property with no affordable homes being built, even out in the suburbs. You will see the results of this crisis on every street corner and sadly there are no signs of the rate of homelessness slowing down. When looking for accommodation, the average cost is €1,200 per month and that might only be a small studio with bedroom, kitchen and living space all in one room. If you want a decent, modern two-bedroom apartment in the city centre you’ll pay no less than €1600 per month. It’s even hard to find shared accommodation for less than €800 per month for one person and sometimes that can mean sharing a room. There are usually queues of people outside newly advertised places for rent, all armed with the first month’s rent and deposit in hand. While some shared accommodation will have utilities included you’ll mostly be paying for them on top of rent. For electricity, gas, internet/tv and rubbish collection altogether it averages about €50 per week but more, if your heating runs on electric. Water charges haven’t been introduced yet thanks to a massive grassroots movement of protests! 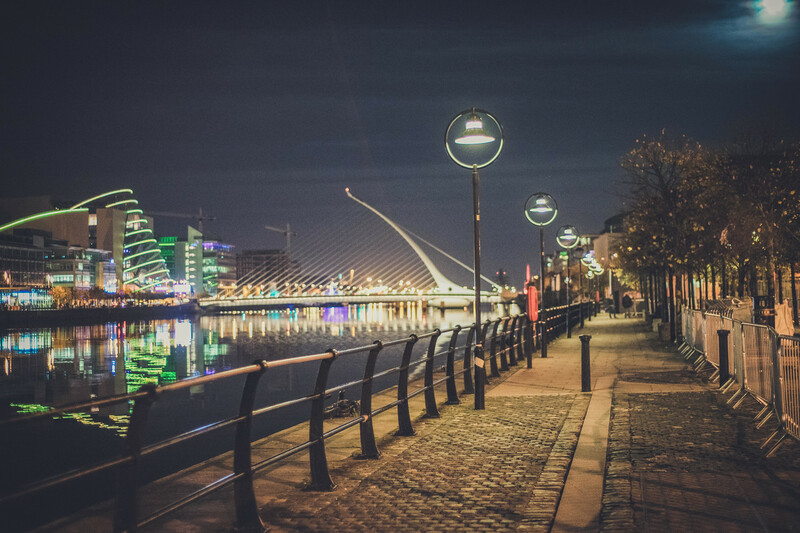 Is Living in Dublin Worth It? Dublin is exciting and constantly changing with new places to eat and cool new venues to hear bands in springing up all over the place. You can squeeze a lot in after work even though we don’t have the late opening hours found on the continent. At the weekend we have really easy access to the coast with cliff walks, seafront parks and of course the beautiful Dublin and Wicklow Mountains. There are numerous day trips you can take for a break away from the hustle and bustle and we’ve quite a few recommendations over on our blog. Please do get in touch with us if you think we might be able to answer any burning questions you have about living in Dublin! This post is by a Dublin couple, Orla and Neil, from www.allthewaysyouwander.com. They love travel and capturing their adventures through beautiful images and inspiring stories. When they’re not camping around Ireland you’ll find them either enjoying or planning their next trip somewhere on the planet! You can follow them on Facebook, Twitter and Instagram. Thanks so much for this interesting blog. My husband and I are thinking about moving to Ireland and we are trying to understand how the salary he’s been offered will impact our standard of life. Would you be able to shed some light on how far a salary of 98500 Euros a year will stretch in Dublin? How does this compare to what others earn? Would it be considered low, mid-range or high? I believe you assumed that is the total salary for two people? How much do you think a person should spend net a month- exclusive rent ? Thank you for the article and all the useful insights. I have been offered 35k a year in a multinational company in Swords. I thought it great initially, but reading your article it doesn’t sound enough. Ould you please tell me your opinion about it? I would prefer to live on my own, not to share an apartment.